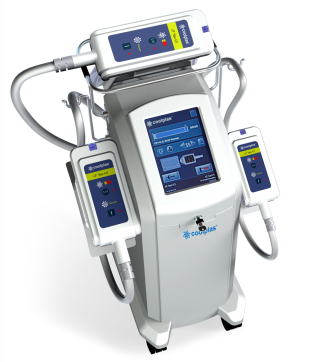 Cryolipolysis is a latest non-invasive process of cooling the adipose tissue to induce lipolysis i.e. the breaking down of fat cells - to reduce body fat without any damage to other tissues. It's a unique combination of two technologies (i.e. Radio Frequency and Cryolysis) which offers the solution for cellulite and fat reduction. It is done by a controlled method of cooling the localized skin and freezing the fat cells.